Meyer is decidedly word faith and promotes some very strange ideas. “We laid hands on the check and prayed. I went and got all of our checkbooks and my pocketbook and Dave got his wallet and we laid hands on them and put the blood on them, asking God to protect our money, to cause it to multiply and to see to it that Satan could not steal any of it from us” (p.111 The Name, The Word, The Blood.). A recent series of investigative articles in the St. Louis Post-Dispatch revealed Meyer’s ministry purchased for Joyce and Dave a $2 million home, a $10 million private jet, and houses worth another $2 million for the couple’s children, who also work for the ministry. The articles also outlined Meyer’s recent personal purchases, including a $500,000 vacation home. Meyer, 60, lives in Fenton, Missouri, near St. Louis. Rice said he had told Meyer two weeks ago that he was canceling her Sunday evening program and was considering canceling her weekday show when the ministry notified him Friday that it was pulling off the station. Rice said he had become increasingly worried about what he views as the “excessive lifestyle” of Meyer and her family. Good for him to stand up for the truth even though he would lose money. We need more people with integrity like this. 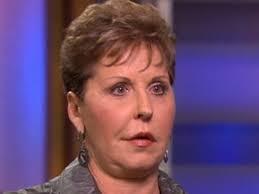 Bob Schneller gave to Joyce Meyer until it hurt. Nine years later, he says, it still aches. He’s out of money, out of a marriage and out of faith with televangelists. Schneller, 59, lives alone in a 600-square-foot, early-model mobile home in House Springs. He’s surrounded by videotapes of televangelists. He says he studies the tapes to learn how he was taken in by Meyer. Not so long ago, Schneller spent his days hanging on Meyer’s every word. The money he gave her – $4,400 a year – surpassed his annual mortgage payment. He and his wife lived on $30,000 a year. He goes on to say Most of what Meyer taught, Schneller said, is what he calls the “name-it-and-claim-it” theology: If you have enough faith, you can name what you want. The Schnellers began giving more to Meyer: $350 a month. They went to Meyer’s home Bible sessions. By the early 1990s, Meyer’s popularity started to climb. But Schneller was less fortunate. His back went out, and he lacked money to pay his bills. He went to Meyer and told her what was happening. She laid her hands on him, he said, and told him that he would be healed, that his problems would soon go away. Despite the $600, nothing changed, he said. He went on workers’ compensation and underwent neck surgery. Meyer called him to wish him well, he said. 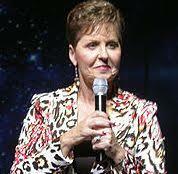 She began giving seed money to a ministry that Schneller and his wife had started, Sword of Spirit of Truth. But Schneller felt uncomfortable with it. The Schnellers went to a church in Waterloo. There, Schneller spoke out against holy laughter. A few days later, Schneller said, his wife was called into Meyer’s office. These are only a few stories that need to be paid attention to when you listen to Joyce Meyer or any of those that teach the false prosperity promises.